Mirassou creates wines to celebrate life's moments – big and small. By selecting high quality grapes from some of California's most acclaimed wine regions, Mirassou makes a versatile collection of whites and reds that pair beautifully with a wide range of foods. 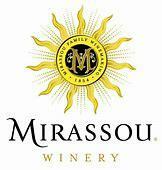 Echoing the optimistic spirit of California, Mirassou wines are a perfect complement to life's bright moments. Our 2010 Mirassou California Merlot is a luscious wine with flavors of rich blackberry and black cherry, layered over vanilla undertones and hints of toasted oak and brown spice. This full-bodied wine has a lush mouthfeel and a lingering, smooth finish.